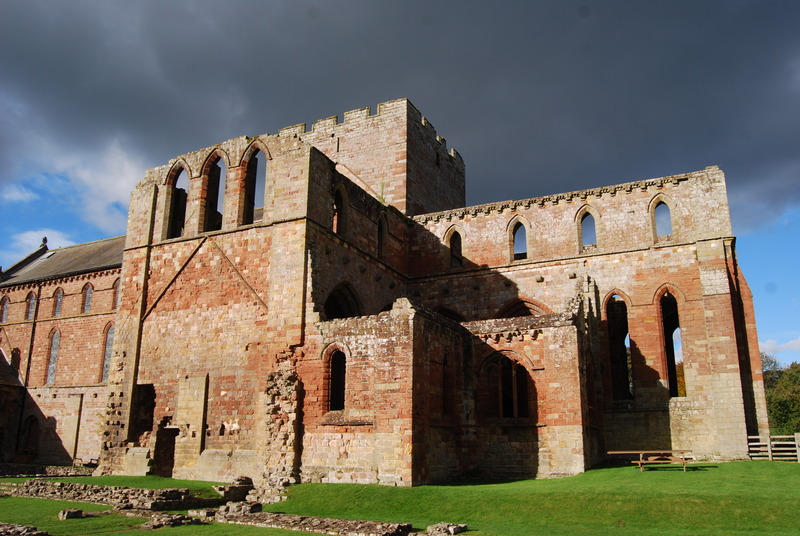 Lanercost Priory was founded in 1169 by Robert de Vaux, son of the Lord of Gilsland, for Augustinian Canons. As it turned out the priory wasn’t in the best location for quiet contemplation and production of religious texts sitting as it did in the shadow of Hadrian’s Wall on the border between England and Scotland. The chronicle cover the years 1201 to 1346 and gives graphic accounts of some of the difficulties faced by a population living on the frontline of the first war of Scottish Independence. Unsurprisingly it presents information from an English viewpoint. The monks of Lanercost do not seem to have had a soft spot for any marauding Scots who passed their way. The chronicle reference local events including a siege at Berwick and an eyewitness account of one of Carlisle’s sieges certainly give it a local flavour as does an account of the visitation by the Bishop of Carlisle in 1281 and also one of Carlisle’s periodic fires. It also covers events such as the Battle of Bannockburn and the execution of Sir Andrew de Harcla. The chronicler agrees that Sir Andrew was a traitor to Edward III but follows up with the comment that the local population would have been grateful for the peace that de Harcla had worked towards at the cost of his life. It seems probable that some of the chronicle was compiled in Carlisle while other entries were written in Berwick – there are first person eyewitness accounts to events located in these places. This has given rise to a question about the authorship of the chronicles as has the manner in which the Franciscans are heralded at every opportunity as men of great spiritual worth. As the preface of the chronicle explains it seems unlikely that Augustinian Canons would extol the virtues of Mendicant Franciscans. It is a puzzle exacerbated not simply by time and border warfare but also by the Dissolution of the Monasteries which saw the destruction of a tradition of monastic chronicles that dated from before the conquest. The only thing that readers can be absolutely certain of was that the text translated from Latin into English by Sir Herbert Maxwell in 1913 used a manuscript that was known to be in the possession of Sir Henry Savile in 1596. This entry was posted in Anglo-Scottish history, Carlisle, Monasteries and tagged Lanercost Chronicle, Sir Herbert Maxwell by JuliaH. Bookmark the permalink. I found the Lanercost Chronicle helpful when working on a biography of Margaret of England, Queen to King Alexander III of Scotland. The Chronicle tells a tale of how one of her esquires drowned in the River Tay when she had one of her maids push him in for a laugh. Turns out it wasn’t so funny. Thanks for the post. That’s my interesting fact for the day (why can I not focus on the big picture?) I’m sure she would have found banana skins a scream had they been available. Though having said that, for no reason other than my mind can’t move in a straight line, there are a number of Scottish ballads with a bit of a fascination for rivers and drowning. The Twa Sisters is the one that springs to mind which has a bit of a love triangle going on resulting in one sister killing another by pushing her in a river – “sometimes she sank and sometimes she swam” which makes pushing an esquire in the river for a lark seem positively friendly by contrast. HaHaHa Julia! I love that songs and chronicles are littered with these little historical tidbits.